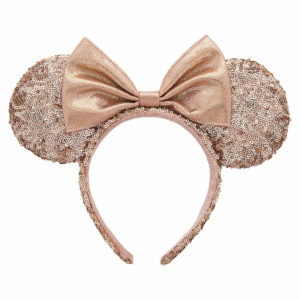 This month the Disney Parks, Disney Parks Shopping App and even the Disney Store online will be bringing out some amazing new items for Disney fans. Let’s start with what may be the MOST exciting news. Custom PURPLE MagicBands. The new Disney Villains is an open edition, meaning they should be in the parks for quite awhile. 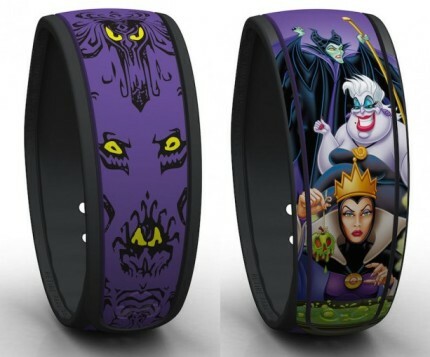 The other is the new Limited Edition Purple Haunted Mansion wallpaper band. Because the Haunted Mansion one is limited release it means less of it were made, we just don’t know how few, but if the original grey limited release is an example, it should be around and available for awhile. 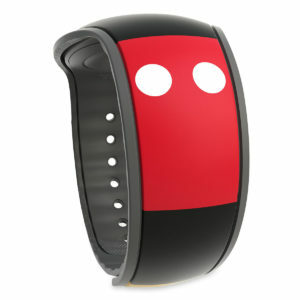 A plain purple MagicBand has not yet been confirmed, but this is a great step in that direction! 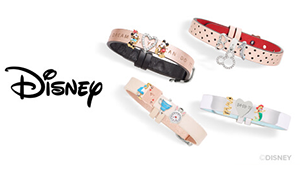 The new bands will be available in park on 10/9. 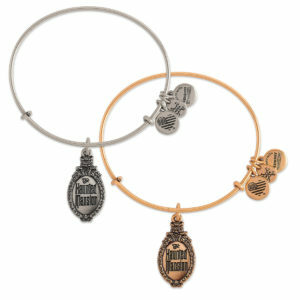 While the purple MagicBand announcement was huge, the next big merchandise announcement today was that guests at Walt Disney World will be able to attend a new Pandora Charm release this month. On 10/29-20/31 guests at Disney Springs should head over the the Marketplace Co-Op to see the new Disney Holiday Pandora Charms in person. Next we have several limited edition shirts through the Disney Store. The new Mickey and Minnie Mouse Jungle Cruise are available online from Wednesday October 7, 2015 to Tuesday October 13, 2015. These are the second shirts in a series of tees pairing Mickey’s iconic tee shirt poses with fabled Disney Parks attractions. You can even buy two of these adorable shirts for $44 from the Disney Store while they are available, just remember like with all limited edition shirts, these will take 4-6 weeks for delivery. 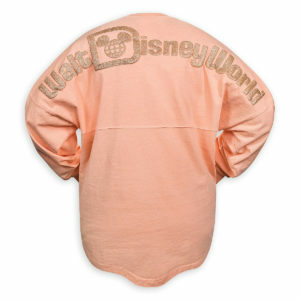 Also available for a limited time through the Disney Store is Trader Sam’s ”Mahaloween” Hoodie and T-shirt. These shirts have glow-in-the-dark accents and were inspired by the upcoming Mahaloween event at Trader Sam’s Enchanted Tiki Bar at Disneyland Hotel. This limited release item is available from Monday October 5, 2015 through Sunday October 11, 2015, and shoppers are asked to allow 3-5 weeks for delivery. Don’t forget to take advantage of the “Buy One, Get the 2nd 50% Off ” special on this design! Vinylmation collectors will be happy to know that after a three year wait, the second series of the Haunted Mansion collection will be released on 10/30/15 at D-Street locations. The second series will have seven figures and a mystery chaser, several variants, and MOST important of all the one Hitchhiking Ghost that was not included in the first series. 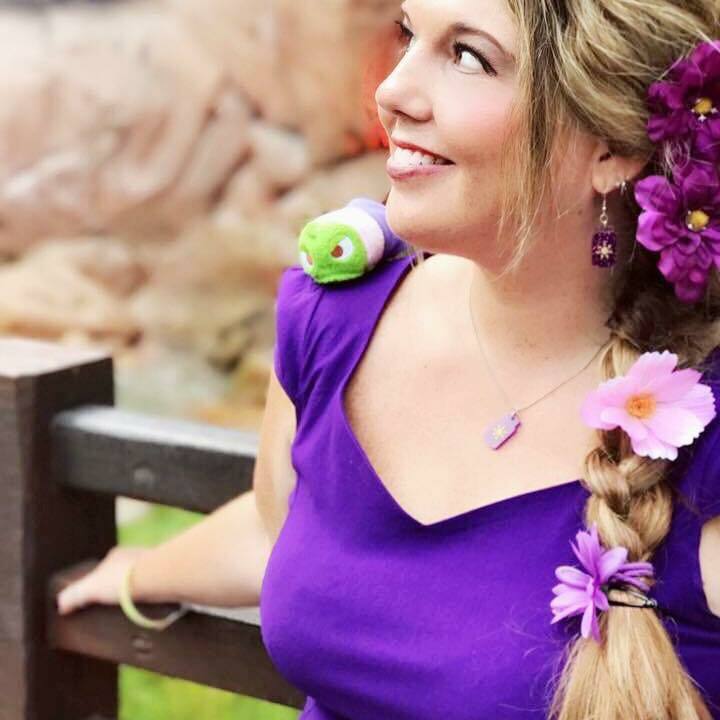 Last month we introduced you to the Disney Attractionistas doll line comprised of Pearl (Pirates of the Caribbean), Maddie (Mad Tea Party), Gracey (Haunted Mansion) and Celeste (Space Mountain). This month two of their friends join in on the fun. 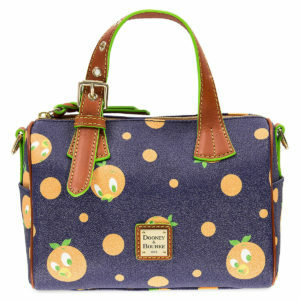 Guests can purchase Carrie (the Carousels at the Parks) and Nellie (Jungle Cruise). If these two new ladies are anything like their original four friends, they will not only be available in the parks but also on the Disney Store online.